We have just introduced a new course schedule planning tool to help students discover courses and arrange selections of them that avoid timing conflicts. 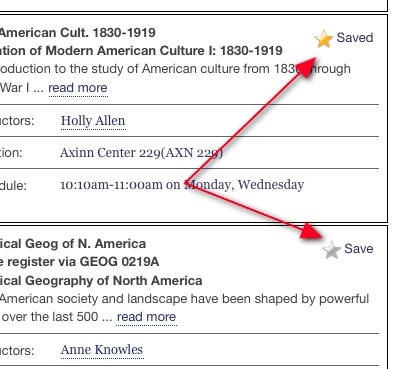 When browsing the online catalog at go/catalog you can now log in and save courses that you find interesting. Look for “Save” links to the top-right of course descriptions. Courses can be saved either from the search view or from the detail views linked-to from department course listings. Save courses at any time as you come across interesting ones. Create one or more schedules for a term to see how different course selections might fit together. Ensures that discussion and lab sections are considered. 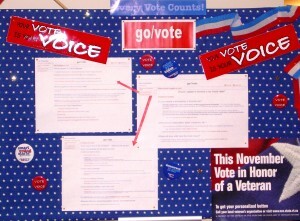 Schedules can be emailed to an adviser or anyone else. Schedules can be printed to aid in finding classrooms. Please note that this tool is designed as a planning and advising aid — it does not register you for classes. Also, it does not have access to individual student records and hence does not check that prerequisites have been met. Try it out at go/catalog. 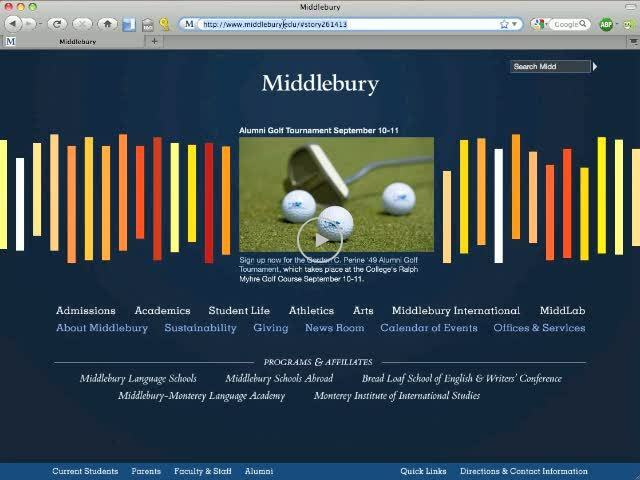 This entry was posted in LIS Staff Interest and tagged advising, catalog, course catalog, Curricular Technology, Enterprise Applications, Middlebury, registration, scheduling, Web Application Development on August 23, 2010 by Adam Franco.